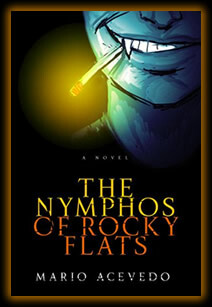 Mario Acevedo puts a new spin on the vampire lore with "The Nymphos of Rocky Flats." I love the main character, Felix. I would love to read more about Felix and the other paranormal characters. For me, this book was only an OK book. Certain aspects of the story were unclear to me. Like, how or why Felix, a vampire, is able to become a wolf. The only character story I could have done without was his friend, Gabriel. I believe it was just a little too much over the top. Overall, I believe Acevedo has much to offer us. I will most definitely pick up his next book. On a scale of 1-10, I think I’d give it a 6.5. I just bought this book and can't wait to read it. Good job on adding a photo.